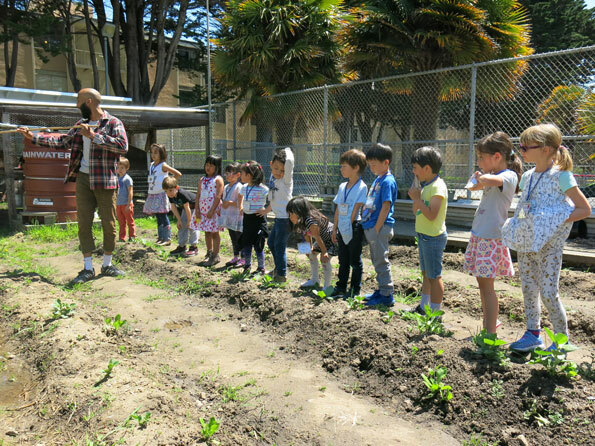 On Friday April 21, 2017 the kindergarten class of Rosa Parks Elementary enjoyed a day in the upper garden with CommunityGrows Garden Educator Jay Jordan. 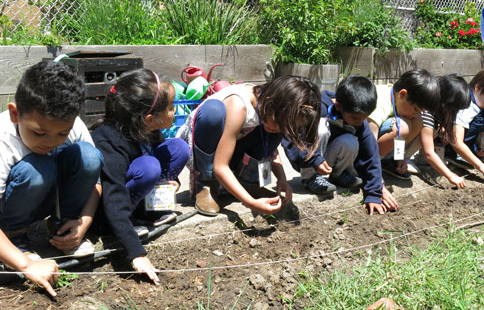 Jay has a way of getting everyone engaged in physical activity and working in the garden. 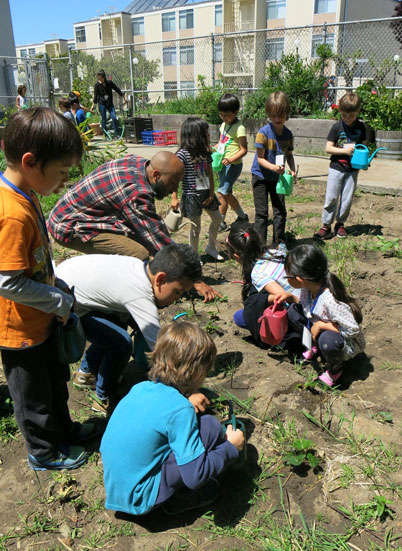 He began the lesson by talking about Spring and planting seeds. In their walk through the garden they saw that the potato plants were still green which meant the potatoes were still growing underground. 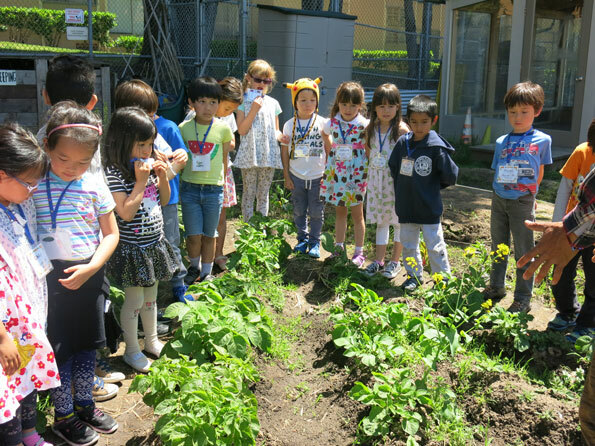 They talked about the soil and that it gets tired and needs to be taken care of. 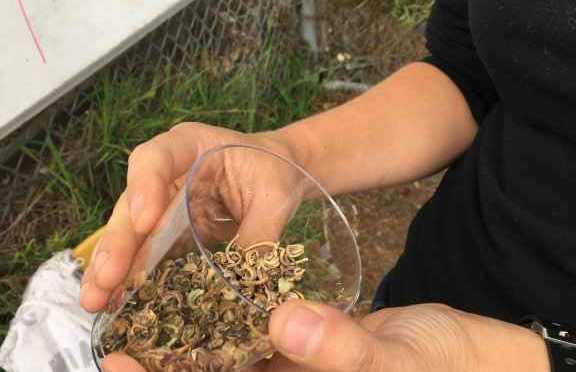 Jay led them on a chant: “fava beans are medicine for sick and tired soil”. Jay talked about saving corn and potatoes to plan for the next harvest. 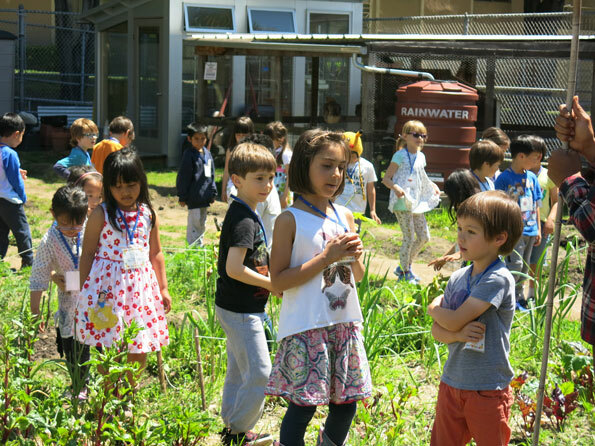 The students picked weeds and then got to plant pumpkin seeds along the edge of the garden. 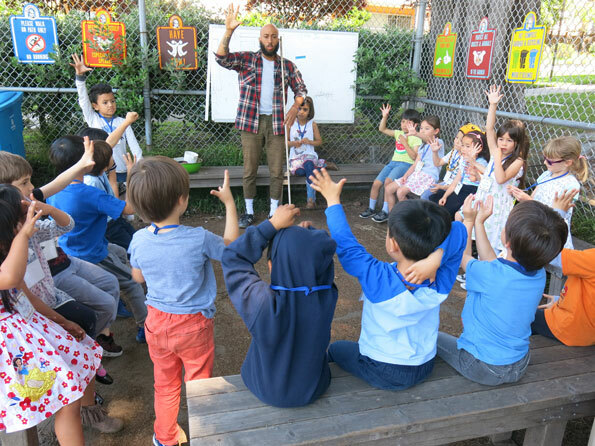 All throughout the lesson Jay made it fun and engaging, especially with exercises praising the earth and thanking the sun, rain, wind, and soil. 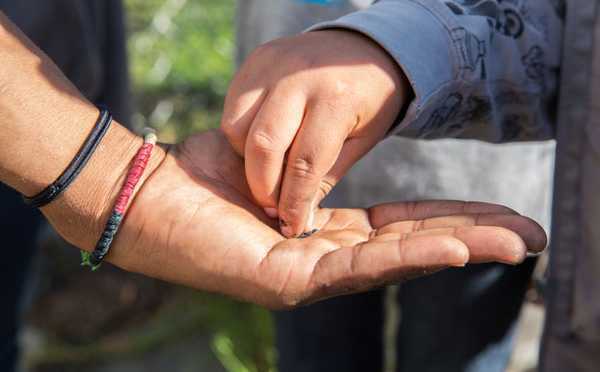 “Circle of Life, thank you earth, Ashay!” Ashay meaning “Be with us,” inviting and thanking ancestors for joining us in the celebration of the earth. 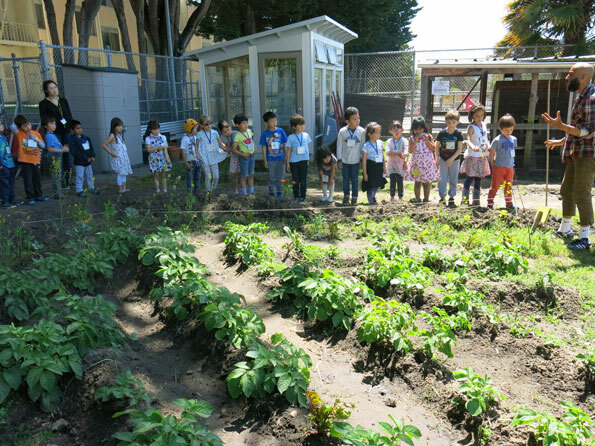 The last half of the class everyone got to water the garden. 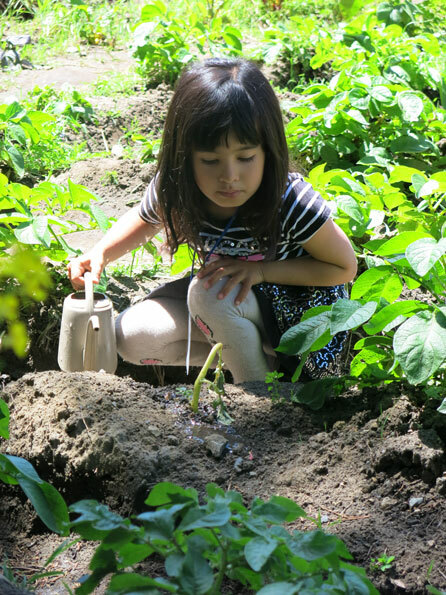 It seemed like the perfect day to understand the beauty of what we do at CommunityGrows-growing children in the garden! 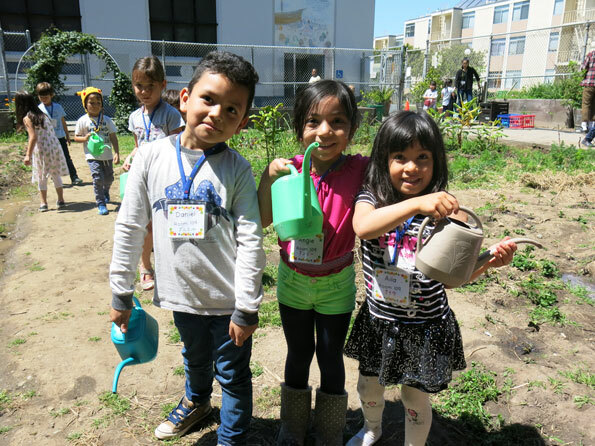 For more photos from the day, check out our CommunityGrows Flickr Photostream.